Sometimes, we all lose sight of the fight that before Drake was Drake, he was Aubrey Graham, a young actor on the Canadian teen drama series Degrassi. 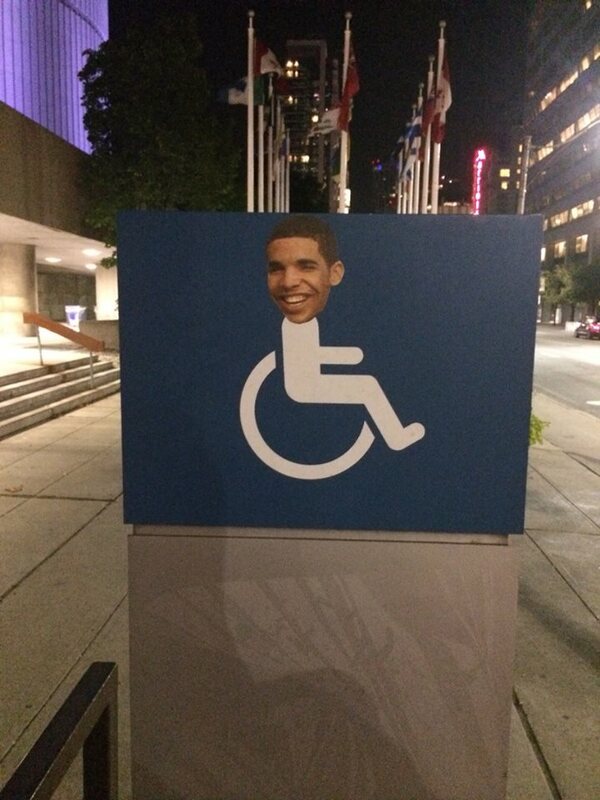 Behind this trend — simply called “draking” — is journalist and blogger Lauren O’Neil. 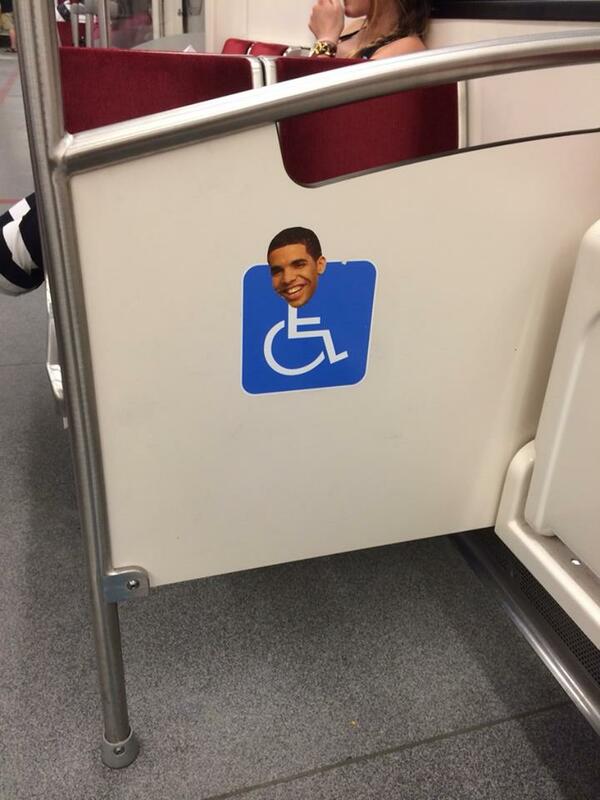 She told BuzzFeed that she and her boyfriend saw an accessibility sign on the subway recently and the idea just kind of came to them. 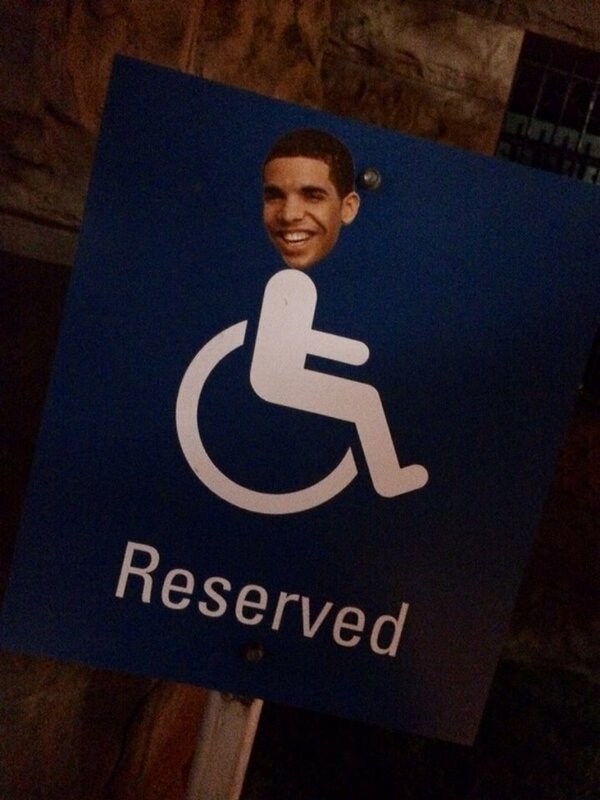 Soon, they began “draking” all over town. “We just want to make people smile,” she said. Man, that’s kind of a bummer. 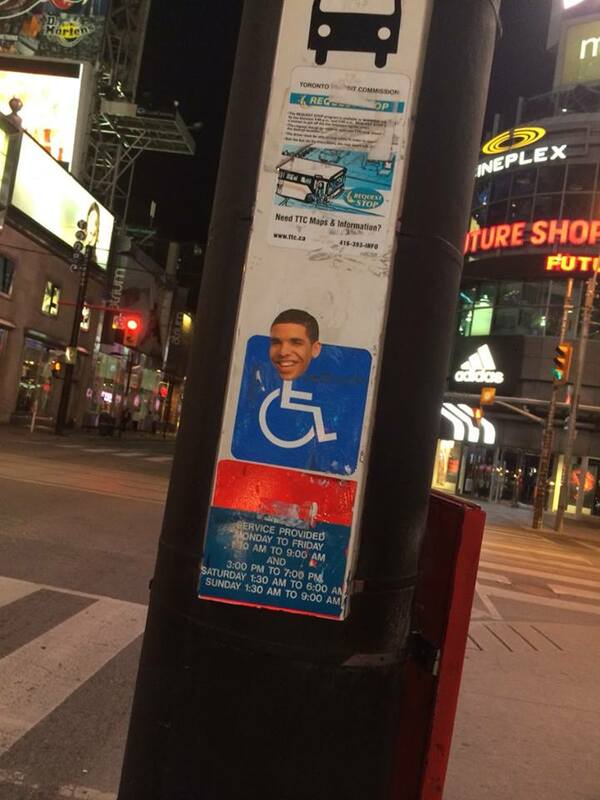 We were secretly hoping this was a viral campaign for some kind of Degrassi revival.